5-Gal Solar Heater Camping Shower - BOGO | BUDK.com - Knives & Swords At The Lowest Prices! You won't have to take any more cold baths in the creek if you take this Trailblazer 5-Gal Solar Shower with you on your next camping trip! Just fill it with water, place it in the sunlight, and the water heats up for a nice, warm shower. The shower is made of sturdy PVC material with a heat absorbing front and a 21” plastic hose with a 1 1/2” diameter. It has a 21-hole showerhead and an on/off nozzle slider. 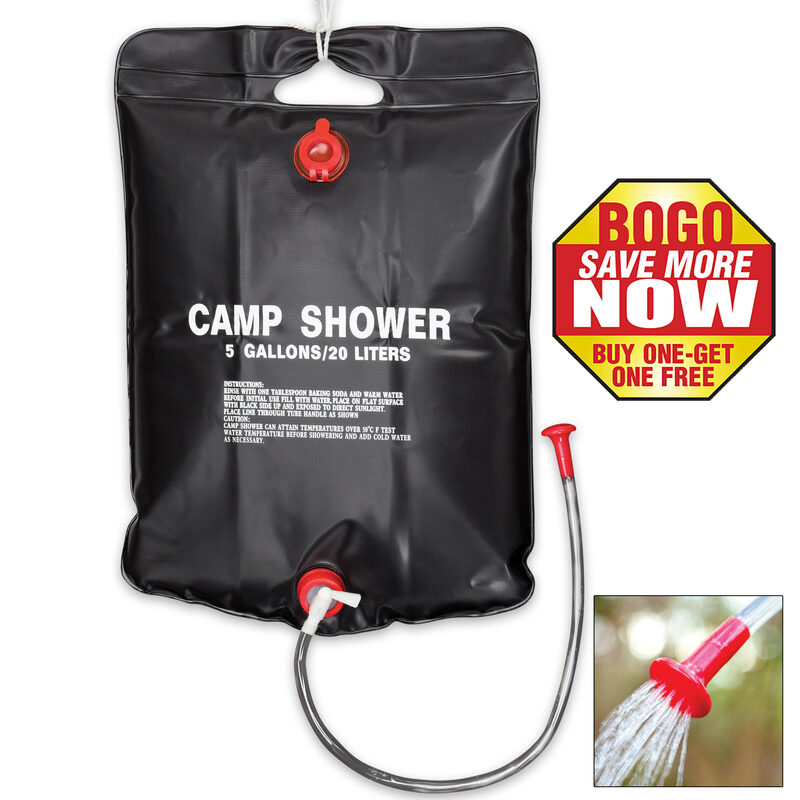 The best thing ever is that you are getting two of these Camping Showers!